Immigration Philadelphia (Philadelphia Co., PA) 21.9.1732, Name: Joh. Philip Kistner 1 [Schiff / ship Pink Plaisance]. Fußnote / footnote: 1. Israel Daniel Rupp: A collection of upwards of thirty thousand names of German, Swiss, Dutch, French and other immigrants in Pennsylvania from 1727 to 1776, 2nd Enlarged Edition with German Translation, Philadelphia, 1876, http://www.archive.org/details/collectionofupwa00ruppuoft, p. 77-78. Immigration Philadelphia (Philadelphia Co., PA) 18.9.1733, Name: Philip Angelberger 1 [Schiff / ship Pennsylvania Merchant]; Einbürgerung / naturalization Philadelphia (Philadelphia Co., PA) 18.9.1733, Name: Philip Angulberger 2. Israel Daniel Rupp: A collection of upwards of thirty thousand names of German, Swiss, Dutch, French and other immigrants in Pennsylvania from 1727 to 1776, 2nd Enlarged Edition with German Translation, Philadelphia, 1876, http://www.archive.org/details/collectionofupwa00ruppuoft, p. 89-90. Lorine McGinnis Schulze: The Olive Tree Genealogy, http://www.olivetreegenealogy.com, Recherche 12.9.2009, http://www.olivetreegenealogy.com/ships/palship03.shtml, Contributor Russ Van Esperen. Immigration Philadelphia (Philadelphia Co., PA) 18.9.1733, Name: Alexander Gasser 1; Einbürgerung / naturalization Philadelphia (Philadelphia Co., PA) 18.9.1733, Name: Alexander Casser 2. Johannes Gasser, M, Immigration Philadelphia (Philadelphia Co., PA) 18.9.1733, Name: Johannes Gasser, Alter / age: under 16 3. Matheis Gasser, M, Immigration Philadelphia (Philadelphia Co., PA) 18.9.1733, Name: Matheis Gasser, Alter / age: under 16 3. Palatine Ship PENNSYLVANIA MERCHANT 1733, Contributor Russ Van Esperen. Israel Daniel Rupp: A collection of upwards of thirty thousand names of German, Swiss, Dutch, French and other immigrants in Pennsylvania from 1727 to 1776, 2nd Enlarged Edition with German Translation, Philadelphia, 1876, http://www.archive.org/details/collectionofupwa00ruppuoft, p. 89+91. Immigration Philadelphia (Philadelphia Co., PA) 18.9.1733, Name: John Ludwig Sees 1 [Schiff / ship Pennsylvania Merchant]. Fußnote / footnote: 1. Israel Daniel Rupp: A collection of upwards of thirty thousand names of German, Swiss, Dutch, French and other immigrants in Pennsylvania from 1727 to 1776, 2nd Enlarged Edition with German Translation, Philadelphia, 1876, http://www.archive.org/details/collectionofupwa00ruppuoft, p. 89-90. Immigration Philadelphia (Philadelphia Co., PA) 9.11.1738 1. Fußnote / footnote: 1. Israel Daniel Rupp: A collection of upwards of thirty thousand names of German, Swiss, Dutch, French and other immigrants in Pennsylvania from 1727 to 1776, 2nd Enlarged Edition with German Translation, Philadelphia, 1876, http://www.archive.org/details/collectionofupwa00ruppuoft, p. 129, ship Charming Nancy. Immigration Philadelphia (Philadelphia Co., PA) 20.10.1747 1. Fußnote / footnote: 1. Israel Daniel Rupp: A collection of upwards of thirty thousand names of German, Swiss, Dutch, French and other immigrants in Pennsylvania from 1727 to 1776, 2nd Enlarged Edition with German Translation, Philadelphia, 1876, http://www.archive.org/details/collectionofupwa00ruppuoft, p. 180-181. * 1730 (errechnet / calculated). Immigration Philadelphia (Philadelphia Co., PA) 16.9.1748, Name: Valentin Casser 1; Immigration Philadelphia (Philadelphia Co., PA) 16.9.1748, Name: Valentine Casper, Alter / age: 18 J. 2; Einbürgerung / naturalization Philadelphia (Philadelphia Co., PA) 16.9.1748, Name: Valentin Caspar 3. Israel Daniel Rupp: A collection of upwards of thirty thousand names of German, Swiss, Dutch, French and other immigrants in Pennsylvania from 1727 to 1776, 2nd Enlarged Edition with German Translation, Philadelphia, 1876, http://www.archive.org/details/collectionofupwa00ruppuoft, p. 187. Ralph Beaver Strassburger, William John Hinke: Pennsylvania German Pioneers, Baltimore (1966), 2 Bände, p. 383, ship Patience. ibid., p. 385, ship Patience. Immigration Philadelphia (Philadelphia Co., PA) 11.9.1749 1. Fußnote / footnote: 1. Israel Daniel Rupp: A collection of upwards of thirty thousand names of German, Swiss, Dutch, French and other immigrants in Pennsylvania from 1727 to 1776, 2nd Enlarged Edition with German Translation, Philadelphia, 1876, http://www.archive.org/details/collectionofupwa00ruppuoft, p. 196-197, ship Priscilla. Immigration Philadelphia (Philadelphia Co., PA) 24.9.1751 1. Sept. 24, 1751. Ship Neptune, John Mason, Captain, from Rotterdam, last from Cowes. 284 passengers. Immigration Philadelphia (Philadelphia Co., PA) 26.9.1752 1. Fußnote / footnote: 1. Israel Daniel Rupp: A collection of upwards of thirty thousand names of German, Swiss, Dutch, French and other immigrants in Pennsylvania from 1727 to 1776, 2nd Enlarged Edition with German Translation, Philadelphia, 1876, http://www.archive.org/details/collectionofupwa00ruppuoft, p. 279-280, ship Richard and Mary. Immigration Philadelphia (Philadelphia Co., PA) 8.11.1752 1. Fußnote / footnote: 1. Israel Daniel Rupp: A collection of upwards of thirty thousand names of German, Swiss, Dutch, French and other immigrants in Pennsylvania from 1727 to 1776, 2nd Enlarged Edition with German Translation, Philadelphia, 1876, http://www.archive.org/details/collectionofupwa00ruppuoft, p. 296, ship Snow Louisa. * Pennsylvania 1737 (errechnet / calculated) 1; * Pennsylvania 11.6.1737 2. Eltern / Parents: Samuel Kästner und Catherine Jacob; Musterung 9.5.1758 1; Besoldung Pennsylvania 1.7.1758, Beruf / profession: Soldier in Company of John Bull, Beruf / profession: Schuhmacher, Alter / age: 21 J. 3. John B. Linn, Wm. H. Egle: Pennsylvania Archives : Second Series, Vol. II (Marriage Licences previous to 1790), Harrisburg, 1876, [Reprint 1896, changed page numbering: http://archive.org/details/pennsylvaniaser202harruoft], p. 573-574. Samuel Castner, Jr.: The Kastner or Castner Family of Pennsylvania, Philadelphia (1901), p. 10. Heiratserlaubnis / marriage license Pennsylvania 30.9.1760 1; Heiratserlaubnis / marriage license Pennsylvania 31.10.1760 2. John B. Linn, Wm. H. Egle: Pennsylvania Archives : Second Series, Vol. II (Marriage Licences previous to 1790), Harrisburg, 1876, [Reprint 1896, changed page numbering: http://archive.org/details/pennsylvaniaser202harruoft], p. 100. John B. Linn, Wm. H. Egle: Pennsylvania Archives : Second Series, Vol. II (Marriage Licences previous to 1790), Harrisburg, 1876, [Reprint 1896, changed page numbering: http://archive.org/details/pennsylvaniaser202harruoft], p. 67. Heiratserlaubnis / marriage license Pennsylvania 26.12.1774 1. John B. Linn, Wm. H. Egle: Pennsylvania Archives : Second Series, Vol. II (Marriage Licences previous to 1790), Harrisburg, 1876, [Reprint 1896, changed page numbering: http://archive.org/details/pennsylvaniaser202harruoft], p. 19, 52. * 1693 (errechnet / calculated). Immigration Philadelphia (Philadelphia Co., PA) 27.8.1733, Name: Johannes Kirschner 1; Immigration Philadelphia (Philadelphia Co., PA) 27.8.1733, Name: Johanes Kesnoser, Beruf / profession: farmer, Alter / age: 40 J. 2. * 1683 (errechnet / calculated). Immigration Philadelphia (Philadelphia Co., PA) 27.8.1733, Name: Kertroudt Kesnoser, Alter / age: 50 J. 5. Conrad Kirschner, M, * 1719 (errechnet / calculated); Immigration Philadelphia (Philadelphia Co., PA) 27.8.1733, Name: Conrad Kirschner 6; Immigration Philadelphia (Philadelphia Co., PA) 27.8.1733, Name: Conreet Kesnoser, Alter / age: 14 J. 5; Besteuerung / Taxation Windsor Township (Berks Co., PA) 1752, Name: Conrad Kersner 7. Johann Georg Kirschner, M, * 1721 (errechnet / calculated); Immigration Philadelphia (Philadelphia Co., PA) 27.8.1733, Name: Joh. Georg Kirschner 6; Immigration Philadelphia (Philadelphia Co., PA) 27.8.1733, Name: Johan Yerck Kesnoser, Alter / age: 12 J. 5; Besteuerung / Taxation Windsor Township (Berks Co., PA) 1752, Name: George Kersner 7. Johann Peter Kerschner 3, M.
The enclosed lists are copied as they appear without alteration or change from the 1934 printing of "Pennsylvania German Pioneers" A list of ships arriving in Philadelphia 1727 to 1808 , Vol. 1, 1727 to 1775 by Ralph Beaver Strassburger, LL.D. edited by William John Hinke, Ph.D., D.D. This list has the occupation of the individual with age following. Other lists may show letters in parenthesis in the body of the name, this is where the individual made their mark. Other letters following names or titles in the texts are for subscript letters in the original print. This list is also adjusted to match the updated list in the Apendix of the above text) [List 30 A] Account of the Mens Names of 16 years and upwards, Brought from Rotterdam in the Elizabeth, Capt. Edward Lee. [Qualified Aug. 27, 1733]. Ralph Beaver Strassburger, William John Hinke: Pennsylvania German Pioneers, 1st ed. (1934). [User jengen2]: Internet-Posting, Carsner message board, rootsweb.com, 19.9.1999. Researching the descendants of Mathias and Salome (Horn) Kershner. Mathias Kershner, son of John George Kerschner and Catharine Sara Faust, was born in 1787 in Windsor Twp., Berks Co., Pennsylvania. Before 1792 Mathias had moved with his parents to Shamokin Twp., Northumberland Co., PA. John George Kershner died in 1803, and his widow married Thomas Lloyd. Thomas Lloyd took his new family to Ohio, and on Dec 1812, Mathias Kershner married Salome Horn, the daughter of Frederick and Anna Maria (Drum) Horn in Pickaway Co. Ohio. They had two sons David and Mathias, Jr. before Mathias, Sr. died ca 1817 in Fairfield Co., Ohio. These families can be traced back to Enders Kirschner who was born ca 1570 in Herbstein, Germany. Their immigrating ancestor was Johannes Kerschner who immigrated from Langenselbold, Germany in 1733 with his wife Gertrudt (Dietrich) and their children: Johann Conrad, Johann Peter, Johann George. This family is the foundation of the Kershner Family Association. Descendants of Mathias and Salome Horn have continued to move west and through out the country and into Canada. David's son Charles, changed the spelling of his name to Castner. I am seeking additional information on these families including other generation of descendants. Israel Daniel Rupp: A collection of upwards of thirty thousand names of German, Swiss, Dutch, French and other immigrants in Pennsylvania from 1727 to 1776, 2nd Enlarged Edition with German Translation, Philadelphia, 1876, http://www.archive.org/details/collectionofupwa00ruppuoft, p. 88. Richard T. Williams, Mildred C. Williams: 1752 List of Taxables, Berks County, Pennsylvania, Typoskript im Besitz der Historical Society of Berks County (1978), p. 14.
zwischen 1743 und 1746 Wohnung / residence: Tulpehocken Region (Berks & Lebanon Counties, PA), Religion: luth. 1.
auch / also Christian Casner 3. * Thaleischweiler 3.2.1725 1, 2; † vor 1766 4, 5. Eltern / Parents: Christian Kastner und Anna Ottilia Fuchs; Beruf / profession: Weber 1, 2; Emigration 1750 nach Pennsylvania 1, 2; genannt / mentioned Windsor Township (Berks Co., PA) ca. 1750, Name: Christian Gassner 6.
luth. ∞ I. Thaleischweiler 3.12.1748 1, 2; nach 1750 Wohnung / residence: in Windsor Township (Berks Co., PA) 7. Weiterer Partner: Samuel Huth; Thaleischweiler 3.12.1748 1, 2 Tochter von Georg Mattinger, Stand / cast: Bg. zu Höhfröschen [Neufröschen]. Maria Barbara Kastner 1, 2, F, * Fröschen 4.11.1749 1, 2. Johann Michell Kastner 7, M, ~ Windsor Township (Berks Co., PA) 2.6.1756 (Pate: Michael Mattinger; Patin: Anna Maria Mattinger) 7. Marjorie Mota: Philip Peter Kastner / Cosner, (ca. 1990 ... 1997), p. 2, 11. Peter Seybolt hath this Day applied for a Tract of about 100 as. of land joining lands of the said Martin Daniel Reigle, Godfrey Seidle and George Alspach in Windsor Township in the County of Berks, on which he Alledges there formerly (perhaps 25 Years ago) was an Improvement made by one Christian Gassner and a survey was also about that time made for him but without any Authority as he apprehends. As he informs that During the minority of the said Gassners Children you let the said place for their use, And that the same place is now Deserted, You are to make your Objections known to the Board of property the last Monday in January next if any you have, Otherwise he the said Seybolt may be probably indulged with a warrant. Marjorie Mota: Philip Peter Kastner / Cosner, (ca. 1990 ... 1997), p. 2. Besteuerung / Taxation Heidelberg Township (Berks Co., PA) 1752 single man 1. Fußnote / footnote: 1. Richard T. Williams, Mildred C. Williams: 1752 List of Taxables, Berks County, Pennsylvania, Typoskript im Besitz der Historical Society of Berks County (1978), p. 14. ∞ II. Berks County (PA) 9.9.1766 1. I am interested in Samuel Huth and his wife Susanna, they were married on Sept 9, 1766 in Berks Co. PA. It was Susanna's second marriage, her first husband had died. Would love to hear from anybody that knows anything about them. Cumru Township (Berks Co., PA) 2.1.1794 1 Witwe: Hannah Rughty. Erbe / Heritage Cumru Township (Berks Co., PA) 2.1.1794 (Witwe von Theophilis Kastner) 1. August 9, 1790 - January 2, 1794. All personal estate to be sold and Elisabeth to have rents of the plantation in Cumru during life. To dau. Hannah widow of Theophilis Kastner £55. To dau. Maria Lutz wife of Adam £55. To grandson Daniel Lutz and great grandson Adam Lutz my plantation in Cumru which I bought of George Riehm, containing 200 acres, after wife's decease, they paying to my 2 daus. above named £30 each. To my friend George Merkel plantation in Cumru where I now live containing 170 acres, after wife's decease, paying to above named daus. £50 each. Wits: John Huett, Ludwig Huett and Christian Miller. Besteuerung / Taxation Plumstead Township (Bucks Co., PA) von 1759 bis 1787, Name: Peter Cosner, Name: Peter Causnor, Name: Peter Kosner, Name: Peter Costner, Name: Peter Costmer, Name: Peter Costnor, Name: Peter Casner, Name: Peter Castner 1; Zensus Bucks County (PA) 1790 2. 1794 Wohnung / residence: nach Londonderry Township (Chester Co., PA) 3. Rebecca Cosner, F; Partner: Peter Wood. <unsicher / uncertain> John Castner, M, Besteuerung / Taxation Plumstead Township (Bucks Co., PA) von 1781 bis 1787, Name: John Costnor, Name: John Costner, Name: John Castner 4; Zensus Bucks County (PA) 1790 2. <unsicher / uncertain> Peter Costner Jr., M, Besteuerung / Taxation Plumstead Township (Bucks Co., PA) 1787, Name: Peter Costner Jr. 4; Zensus Bucks County (PA) 1790 2. Terry A. McNealy, Frances Wise Waite, Compl. : Bucks County Tax Records, 1693 -1778, Doylestown, Pennsylvania, Bucks County Genealogical Society (no pub. date), p. 23, 29, 30, 34, 38, 43, 70, 84. William Henry Egle, Ed. : Pennsylvania Archives, Third Series, Vol. XIII, Harrisburg, W.S. Ray, State Printer of Pennsylvania (1897), p. 69, 159, 272, 370, 461, 587, 661, 774. Heads of Families at the First Census of the United States taken in the year 1790, Pennsylvania, Baltimore: Genealogical Publishing Company (1970). Furthermore, John Dyer notes in 1794 that "Peter Cosmer moved his family to Chester county, Londonderry township." A Peter Cosner is still found in this location in the 1800 Census. Pennsylvania Vital Records, Vol. II, "Memoranda from the Dairy of John Dyer of Plumstead, Bucks Co., Pa.", Baltimore: Genealogical Publishing Co. (1983), p. 214. John D. Stemmons, Ed. : Pennsylvania in 1800, A computerized index to the 1800 Federal Population Schedules of the State of Pennsylvania, Salt Lake City (no pub. date), p. 116. Besteuerung / Taxation Plumstead Township (Bucks Co., PA) von 1761 bis 1764, Name: John Cosner, Name: John Cosnor 1. ∞ Plumstead Township (Bucks Co., PA) 28.3.1778 1. Plumstead Township (Bucks Co., PA) 28.3.1778 1 Tochter von Peter Cosner. Pennsylvania Vital Records, Vol. II, "Memoranda from the Dairy of John Dyer of Plumstead, Bucks Co., Pa.", Baltimore: Genealogical Publishing Co. (1983), p. 16, 27, 214. Eltern / Parents: Paul Kästner und Mary; Besteuerung / Taxation Conestoga Township (Lancaster Co., PA) von 1720 bis 1727 2 [damals / then Chester County]. Samuel Castner, Jr.: The Kastner or Castner Family of Pennsylvania, Philadelphia (1901), p. 15. Samuel Castner, Jr.: The Kastner or Castner Family of Pennsylvania, Philadelphia (1901), p. 16. Einbürgerung / naturalization Philadelphia (Philadelphia Co., PA) 11.4.1741, Wohnung / residence: Lancaster County (PA) 1. John B. Linn, Wm. H. Egle: Pennsylvania Archives : Second Series, Vol. II (Marriage Licences previous to 1790), Harrisburg, 1876, [Reprint 1896, changed page numbering: http://archive.org/details/pennsylvaniaser202harruoft], p. 352. * Graben 25.3.1731 (Sohn von Balthasar Süß, Beruf / profession: Schuhmacher, Beruf / profession: Ratsverwandter; Sohn von Maria Barbara; Ehefrau von Johann Balthasar Süß) 2; † 6.5.1791 3; ▭ Brickerville (Lancaster Co., PA), Stelle / Agency: Emanuel Lutheran Church cemetery, Name: Emanuel Siess 4. ∞ Warwick Township (Lancaster Co., PA) 15.8.1757 5; 10 Kinder / 10 children 5. * 16.7.1734 6; † 19.10.1799 6; ▭ Brickerville (Lancaster Co., PA), Stelle / Agency: Emanuel Lutheran Church cemetery, Name: Susanna Süsin 7. Elaine Moran: Persönliche Mitteilung, E-Mail 28.7.2009. I visited the Brickerville cemetery in Lancaster County, Pennsylvania, and saw his tombstone which reads "Emanuel Siess GeBohren 25 Mertz 1731 GeStorben 6 Mey 1791 ..."
Kathy Andrade Cardoza: Kathy's Family Tree, http://homepage.mac.com/kmacardoza/Genealogy/Kathy/index.htm, Recherche 22.8.2009. Elaine Moran: Persönliche Mitteilung, E-Mail 14.8.2009. Grötzingen 14.6.1744 2 Stand / cast: ledig; ehelicher Sohn von Nicolaus Mußgnug; Emigration 20.4.1751, Stand / cast: bürgerlicher Einwohner in Grötzingen, Wohnung / residence: nach Amerika 3.
ev. ∞ Grötzingen 14.6.1744 2; von 1745 bis 1750 3 Kinder / 3 children in Grötzingen 4; von 1751 bis 1757 3 Kinder / 3 children in Pennsylvania 5; Wohnung / residence: Whitehall Township (Allentown, Lehigh Co., PA) 6. Johann Georg Mußgnug 4, M, * Grötzingen 1.5.1745 4; † Alexander County (NC) 1809 5; Partnerin: Christina Anthony. Werner Hacker: Auswanderungen aus Baden und dem Breisgau, Stuttgart, 1980, # 7206. George Howard Moose, Carl Thomas Moose: Moose Family – USA, Volume 10, Fourth edition, Charleston, West Virginia (ca. 2005). auch / also Paul Kastner 2, Paul Castner 2. Religion: Quaker 2; Landerwerb Germantown (Philadelphia Co., PA) 16.10.1690 2; Einbürgerung / naturalization 1691 3; Germantown (Philadelphia Co., PA) 1706 Beruf / profession: Weber / weaver 4; Testament / will Germantown (Philadelphia Co., PA) 31.8.1717 5; Testamentseröffnung / probate 11.9.1717. Hull konnte konnte in seiner sehr ausführlichen Recherche zu den Herkunftsorten die Herkunft von Paul Kästner nicht ermitteln. 6. ∞ 7; 6 Kinder / 6 children 8. Samuel Kästner, M; Partnerin: Catherine Jacob. Jacob Kastner 9, M; Partnerin: Ann. Georg Kastner, M, * 1701 (geschätzt / estimated) 10; † Whitpain Township (Montgomery Co., PA) Okt. 1776 10. Oswald Seidensticker: Die erste deutsche Einwanderung in Amerika und die Gründung von Germantown im Jahre 1683 - Festschrift zum deutsch-amerikanischen Pionier-Jubiläum am 6. October 1883, Philadelphia (1883), http://www.archive.org/details/dieerstedeutsch00seidgoog, p. 78-79. Samuel Castner, Jr.: The Kastner or Castner Family of Pennsylvania, Philadelphia (1901), p. 2. Howard M. Jenkins: Historical Collections of Gwynedd, 2nd Edition, 1897, chapter 26. The elder son, John Samuel, at the age of sixteen years (1706), learned the weaver's trade with Paul Kästner, and afterwards carried on this trade in the house of his father, who furnished him the outfit. Mein ältester Sohn Joh. Samuel, gebohren ut supra pag. 8, den 30. Mertz 1690, lernte anno 1706, das Weben von Paul Kästner, u. trieb es hernach in seines Vatters haus, der ihm die geräthschafft verschaffte. Francis Daniel Pastorius: Res Propriae - Kürtzer Lebens Lauff meiner Eltern und mein Selbst, Manuscript, Germantown, PA (1716). Samuel Castner, Jr.: The Kastner or Castner Family of Pennsylvania, Philadelphia (1901), p. 3–4. William Isaac Hull: William Penn and the Dutch Quaker Migration to Pennsylvania, Swarthmore, PA (1935), http://collection1.libraries.psu.edu/cdm/ref/collection/digitalbks2/id/18270, p. 413. Samuel Castner, Jr.: The Kastner or Castner Family of Pennsylvania, Philadelphia (1901), p. 4. * 1701 (geschätzt / estimated) 1; † Whitpain Township (Montgomery Co., PA) Okt. 1776 1. Eltern / Parents: Paul Kästner und Mary; Lehrbeginn / Apprenticed Pennsylvania zwischen 1710 und 1714, Alter / age: 13 J. 2; Besteuerung / Taxation Conestoga Township (Lancaster Co., PA) von 1721 bis 1725 3 [damals / then Chester County]; Zeitungsinserat Whitpain Township (Montgomery Co., PA) 16.7.1744 (Dienstbote: Conrad Wied, Alter / age: 30 J.) 4. Samuel Castner, Jr.: The Kastner or Castner Family of Pennsylvania, Philadelphia (1901), p. 18. NAMES AND AGES OF MALE CHILDREN APPRENTICED BY GOVERNOR HUNTER, 1710 to 1714. Namen und Alter der von 1710 bis 1714 von Gouverneur Hunter in die Lehre gethanen Knaben. July 16, 1744: Georg Kastner, Whitpain Township (Montgomery County) advertises that his German servant, Conrad Wied, ran away. He is 30 years old. Christopher Sauer (Hrsg. ): Pennsylvanischer Geschichts-Schreiber, Germantown. Abington Township (Montgomery Co., PA) 29.1.1754 2 Name: Andrew Aki. presb. ∞ Abington Township (Montgomery Co., PA) 29.1.1754, Stelle / Agency: Abington Presbyterian Church 2. Eltern / Parents: Samuel Kästner und Catherine Jacob. John B. Linn, Wm. H. Egle: Pennsylvania Archives - Second Series, Vol. IX, Harrisburg (1896), http://www.archive.org/details/pennsylvaniaser209harruoft, p. 187, 189. Bildnachweis / Picture source: Israel Daniel Rupp: A collection of upwards of thirty thousand names of German, Swiss, Dutch, French and other immigrants in Pennsylvania from 1727 to 1776, 2nd Enlarged Edition with German Translation, Philadelphia (1876). Eltern / Parents: Paul Kästner und Mary; Schulbesuch Germantown (Philadelphia Co., PA) 1702 1. Samuel Castner, M, * Pennsylvania 1737 (errechnet / calculated) 3. Susannah Castner, F; Partner: Andrew Aken. Oswald Seidensticker: Die erste deutsche Einwanderung in Amerika und die Gründung von Germantown im Jahre 1683 - Festschrift zum deutsch-amerikanischen Pionier-Jubiläum am 6. October 1883, Philadelphia (1883), http://www.archive.org/details/dieerstedeutsch00seidgoog, p. 86. Immigration Philadelphia (Philadelphia Co., PA) 15.5.1732 1. May 15, 1732. Palatines imported in the ship Norris, Thomas Lloyd, Master, from Boston. Col. Rec. III 429. Immigration Philadelphia (Philadelphia Co., PA) 21.9.1742 1. Sept. 21, 1742. Foreigners imported in the ship Francis and Elizabeth, George North, Master, from Rotterdam, last from Deal. Immigration Philadelphia (Philadelphia Co., PA) 26.9.1743, Name: Hans Jacob Gassner 1; Einbürgerung / naturalization Philadelphia (Philadelphia Co., PA) 26.9.1743, Name: Hans Jacob Haffner 2. Sept. 26, 1743. Foreigners imported in the ship Rosannah, James Reason, Master, from Rotterdam, last from Cowes. The Palatine Project – Reconstructed Passenger Lists, 1683–1819, http://www.progenealogists.com/palproject/, Recherche 12.9.2009. Philadelphia (Philadelphia Co., PA) 13.4.1744 1 Name: Dominica Gosner; verweigerte den Einbürgerungseid Philadelphia (Philadelphia Co., PA) 30.5.1747, Wohnung / residence: Philadelphia County (PA) 2.
presb. ∞ Philadelphia (Philadelphia Co., PA) 13.4.1744, Stelle / Agency: First Presbyterian Church 1. John B. Linn, Wm. H. Egle: Pennsylvania Archives - Second Series, Vol. IX, Harrisburg (1896), http://www.archive.org/details/pennsylvaniaser209harruoft, p. 4, 28. [...] the other following Persons being Quakers or such who Conscientiously scruple to take an Oath, being also Foreigners, and having complied with the terms required by the aforesaid Act of Parliament, Took and subscribed the Qualifications for them appointed by the same Act of Parliament [...]. John B. Linn, Wm. H. Egle: Pennsylvania Archives : Second Series, Vol. II (Marriage Licences previous to 1790), Harrisburg, 1876, [Reprint 1896, changed page numbering: http://archive.org/details/pennsylvaniaser202harruoft], p. 373. 2.10.1752 1 Name: Caspar Gassner; Immigration Philadelphia (Philadelphia Co., PA) 20.9.1743, Name: Casper Gastner 2; Philadelphia (Philadelphia Co., PA) 1.10.1745 3, 4 Religion: rk. / catholic. luth. ∞ Philadelphia (Philadelphia Co., PA) 1.10.1745, Stelle / Agency: St. Michaels and Zion Lutheran Church 3, 4. Christian Gassner 1, M, * 2.10.1752 1; luth. ~ Philadelphia (Philadelphia Co., PA) 15.10.1752, Stelle / Agency: St. Michaelis and Zion Church (Pate: Christian Fechle, Religion: ref. ; Patin: Catharina, Religion: ref. ; Ehefrau von Christian Fechle) 1. Henry Eyster Jacobs: The German emigration to America, 1709-1740, Lancaster, PA (1898), http://www.archive.org/details/germanemigration08jaco, p. 207. Sept. 20, 1743. Foreigners imported in the ship Lydia, James Abercrombie, Master, from Rotterdam, last from Cowes. John B. Linn, Wm. H. Egle: Pennsylvania Archives - Second Series, Vol. IX, Harrisburg (1896), http://www.archive.org/details/pennsylvaniaser209harruoft, p. 293. Kastner, Caspar (Catholic), Grühnin, Anna Catharina; m. October 1 during public service. Immigration Philadelphia (Philadelphia Co., PA) 15.9.1748, Name: Johannes Gestner 1. Sept. 15, 1748. Foreigners imported in the Two Brothers, Thomas Arnott, Master, from Rotterdam, last from Portsmouth. Immigration Philadelphia (Philadelphia Co., PA) 2.9.1749 1. Sept. 2, 1749. Wirtembergers imported in the ship Chesterfield, Thomas Coatam, Master, from Rotterdam, last from Cowes. In all 255. Immigration Philadelphia (Philadelphia Co., PA) 19.9.1749 1. Sept. 19, 1749. Palatines and persons from the duchy of Wirtemberg, ship Patience, Hugh Steel, Captain, from Rotterdam, last from Cowes. 270 passengers. luth. ∞ Philadelphia (Philadelphia Co., PA) 28.3.1769, Stelle / Agency: St. Michaels and Zion Lutheran Church 1. Fußnote / footnote: 1. John B. Linn, Wm. H. Egle: Pennsylvania Archives - Second Series, Vol. IX, Harrisburg (1896), http://www.archive.org/details/pennsylvaniaser209harruoft, p. 348.
luth. ∞ Philadelphia (Philadelphia Co., PA) 20.8.1778, Stelle / Agency: St. Michaels and Zion Lutheran Church 1. Fußnote / footnote: 1. John B. Linn, Wm. H. Egle: Pennsylvania Archives - Second Series, Vol. IX, Harrisburg (1896), http://www.archive.org/details/pennsylvaniaser209harruoft, p. 395.
luth. ∞ Philadelphia (Philadelphia Co., PA) 31.12.1778, Stelle / Agency: St. Michaels and Zion Lutheran Church 1. 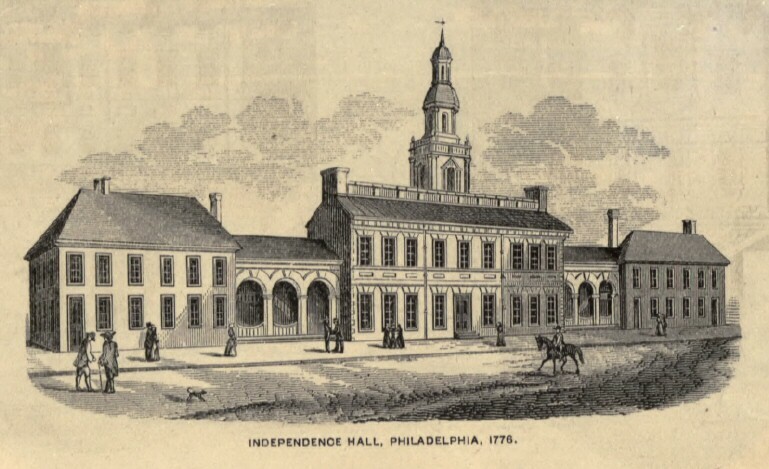 Philadelphia (Philadelphia Co., PA) 31.12.1778 1 Stand / cast: Witwe. Fußnote / footnote: 1. John B. Linn, Wm. H. Egle: Pennsylvania Archives - Second Series, Vol. IX, Harrisburg (1896), http://www.archive.org/details/pennsylvaniaser209harruoft, p. 381.
luth. ∞ Philadelphia (Philadelphia Co., PA) 13.5.1779, Stelle / Agency: St. Michaels and Zion Lutheran Church 1. Fußnote / footnote: 1. John B. Linn, Wm. H. Egle: Pennsylvania Archives - Second Series, Vol. IX, Harrisburg (1896), http://www.archive.org/details/pennsylvaniaser209harruoft, p. 382. Zensus Philadelphia County (PA) 1790, Name: Mary Cosner 1. * 23.6.1733 1; † Washington County (PA) 24.9.1819 1. Heidelberg Township (Allentown, Lehigh Co., PA) 17.12.1769 2 Name: Peter (Kassner? ); Sewickley Creek Settlement (Hempfield Township, Westmoreland Co., PA) 23.1.1774 3 Name: Peter Cossner; Zensus Washington County (PA) 1790, Name: Peter Casner 4. Heidelberg Township (Allentown, Lehigh Co., PA) 17.12.1769 2 Name: Magdalena; Sewickley Creek Settlement (Hempfield Township, Westmoreland Co., PA) 23.1.1774 3 Name: Magdalena. Joh. Michael (Kassner?) 2, M, ~ Heidelberg Township (Allentown, Lehigh Co., PA) 17.12.1769, Stelle / Agency: Heidelberg Lutheran and Reformed Congregations 2. Johannes Cossner 3, M, ~ Sewickley Creek Settlement (Hempfield Township, Westmoreland Co., PA) 23.1.1774 3. Stephen L. Castner: Descendants of Peter and Magdalena Castner, http://my.execpc.com/~slc/petercastner/index.htm, edited 17 Apr 2003. Raymond E. Hollenbach: Heidelberg Evangelical Lutheran Congregation Church Record 1758 to 1850, Seegersville, PA (1933). Paul M. Ruff, Baltzer Meyer: Westmoreland Co., PA, Church Records, Baptisms 1772-1792, The German Church Records of Western Pennsylvania. Zensus Washington County (PA) 1790 1. Dull hat die beiden Taufen der Familie Georg Adam Kastner und Maria Anna aus Edenkoben in der Pfalz, zugeordnet. Ich denke jedoch, dass es sich um eine eigene Famile handelt. / Dull has assigned to two baptisms to the family of Georg Adam Kastner und Maria Anna from Edenkoben, Palatinate. I, however, think that it is a separate family. [KK]. Johan Michael Gassner 1, 2, M, * 30.12.1734 1, 2; luth. ~ York County (PA) 16.11.1735, Stelle / Agency: Christ Lutheran Church 1, 2. Johan Georg Gassner 1, 2, M, * 22.7.1737 1, 2; luth. ~ York County (PA) 1.8.1737, Stelle / Agency: Christ Lutheran Church 1, 2. F. J. C. Hertzog, Rosa M. Will, L. W. Rodgers: Christ Evangelical Lutheran Church [Records], York, York County, Pennsylvania, 1733-1800, (1919), manuscript. York County (PA) 23.4.1753 1 Patin von Sabina Kasner. York County (PA) 23.4.1753 1 Pate von Sabina Kasner. Vgl. ausführliches Kapitel über Jonas Rudisill bei Hoffman: Our Kin, p. 339-350. Jonas lebte bis zu seinem Tod in Pennsylvania, während seine Verwandten Philip, Michael und Derrick (Dietrich?) aus der gleichen Generation nach North Carolina zogen. 3 Söhne (William, John, Philip) von Jonas zogen nach Rappahannock County, Virginia. Der Sohn Jonas Jr. ließ sich in Mecklenburg County, North Carolina nieder. Bei the Palatine Project finden sich 3 Einwanderungen von Rudisills, alle aus Michelfeld im Kraichgau (D-74918 Angelbachtal): 1729 auf Schiff Mortonhouse, 1737 auf Schiff Samuel, 1749 auf Schiff Phoenix. Wie die Familien genau zusammenhängen, ließ sich aus dem Internet nicht zweifelsfrei ermitteln. Genaues müsste in den Büchern von Annette K. Burgert und Edward L. Rudisill zu finden sein. Die Rudisill stammen ursprünglich aus St. Gallen, Schweiz (Orte: Frümsen, Sax, Sennwald) und zogen im Rahmen der Schweizer Emigration nach dem dreißigjährigen Krieg in Orte des Kraichgaus (Berwangen, Elfinger Hof bei Maulbronn, Elsenz, Flehingen, Hilsbach, Michelfeld, Sandhausen, Waldangelloch). Dieffenbacher et al. nennen insgesamt 8 Rudisühli, wie sie in der Schweiz und zu Anfang im Kraichgau noch hießen. Vgl. auch Rudisill Family Association und Ortssippenbuch Elsenz. Der o. g. Philip Rudisill in North Carolina war mit Mary Costner verheiratet. 3 Töchter dieses Paars heirateten wiederum Costners [Hoffman]. Auch in Pennsyslvania bestanden offenbar Beziehungen zwischen den Rudisills und den Kastners, wie die Patenschaft von Jonas Rudisill bei Sabina Kasner zeigt. Hier kommt natürlich die Frage auf, ob eine gemeinsame Herkunft der Familien Rudisill und Kastner in Deutschland besteht, denn sowohl in Michelfeld, als auch in Elsenz kamen Kastner vor. Allerdings gibt es keinen Hinweis, dass einer dieser Kastner im 18. Jahrhundert nach Pennsyslvania oder North Carolina ausgewandert wäre, sondern nur nach New York und weiter nach New Jersey (zu letzterem vgl. Jones). Die Aussage, dass die Costner in North Carolina von Georg Adam Kastner aus Edenkoben in der Pfalz abstammen, bleibt somit unangetastet [KK]. 2, 3, 4, 5, 6, 7. ∞ York County (PA) 11.6.1754 8. Laban Miles Hoffman: Our Kin - Being a History of the Hoffman, Rhyne, Costner, Rudisill, Best, Hovis, Hoyle, Wills, Shetley, Jenkins, Holland, Hambright, Gaston, Withers, Canalser, Clemmer and Linberger Families, Dallas NC (1915), Reprint Baltimore 1989, p. 268-350. Ralph Beaver Strassburger, William John Hinke: Pennsylvania German Pioneers, Baltimore (1966), 2 Bände. Annette Kunselman Burgert: Eighteenth Century Emigrants from German-Speaking Lands to North America, Vol. I: The Northern Kraichgau, Breinigsville, Pennsylvania, The Pennsylvania German Society (1983). Karl Diefenbacher, Hans Ulrich Pfister, Kurt H. Hotz: Schweizer Einwanderer in den Kraichgau nach dem dreißigjährigen Krieg, Ladenburg, 1983, p. 145. Edward Lee Rudisill: The Rudisill Genealogy, (1995). Klaus Rössler: Ortssippenbuch Elsenz, 2. Auflage, Plaidt, 2004, # 2095. Henry Z. Jones, Jr.: The Palatine Families of New York : A Study of the German Immigrants Who Arrived in Colonial New York in 1710, 2 volumes, Camden, ME, 3rd printing, 1995, p. 119-122. Laban Miles Hoffman: Our Kin - Being a History of the Hoffman, Rhyne, Costner, Rudisill, Best, Hovis, Hoyle, Wills, Shetley, Jenkins, Holland, Hambright, Gaston, Withers, Canalser, Clemmer and Linberger Families, Dallas NC (1915), Reprint Baltimore 1989, p. 349. Pennsylvania 7.9.1755 1 Pate von Andreas Kastner. Pennsylvania 7.9.1755 1 Patin von Andreas Kastner. Sharon Asher: Persönliche Mitteilung, E-Mail 11.8.2013. Conrad Guenther, M, * 23.7.1758 1; luth. ~ York County (PA) 13.8.1758 (Pate: Conrad Guenther; Patin: Maria Castner; Verlobte / fiancee von Conrad Guenther) 1. York County (PA) 22.8.1758 1 Wohnung / residence: of Hellam Township (York Co., PA). luth. ∞ York County (PA) 22.8.1758 1.
ref. ~ Edenkoben 1.5.1736, Name: Anna Barbara Kastner (Vater: Jörg Adam Kastner; Mutter: Maria Anna; Taufzeuge: Philipp Jacob Henßel; Taufzeugin: Anna Barbara; Ehefrau von Philipp Jacob Henßel) 2. York County (PA) 22.8.1758 1 Name: Maria Barbara Castner; Tochter von George Adam Castner, Wohnung / residence: of Manchester Township (York Co., PA). York County (PA) 13.8.1758 1 Pate von Conrad Guenther. luth. ∞ York County (PA) 22.8.1758 1; 4 Kinder / 4 children 2.
ref. ~ Edenkoben 25.9.1740, Name: Maria Ursula Kastner (Vater: Georg Adam Kastner, Beruf / profession: Bäckermeister; Mutter: Maria Anna; Taufzeuge: Wilhelm Sartor, Stand / cast: ledig; Taufzeugin: Maria Ursula Pfisterin, Stand / cast: ledig) 4. York County (PA) 13.8.1758 1 Name: Maria Castner; Verlobte / fiancee von Conrad Guenther, Patin von Conrad Guenther; York County (PA) 22.8.1758 1 Name: Maria Castner; Tochter von George Adam Castner; 29.9.1761 1 Name: Maria Ursula. Philip Jacob Guenther 1, M, * 29.9.1761 1; luth. ~ York County (PA) 8.11.1761, Stelle / Agency: Christ Lutheran Church (Pate: Philip Jacob Castner, Stand / cast: unverheiratet / unmarried; Sohn von George Adam Castner; Patin: Catherine Freytag) 1. Anna Maria Guenther 5, F, * 2.10.1762 2; ~ York County (PA) 24.10.1762, Stelle / Agency: Trinity Church (Pate: Georg Adam Kastner; Patin: Maria Anna) 5.